If you’ve been in the corporate game for any amount of time, you understand the importance of evolving with it in order to stay competitive and even surpass your top competitors. And this is the time of social media and online marketing. Without a doubt, social media is the most powerful tool every marketer should use to drive the growth and expansion of their company. This goes for your franchise as well. With all of your franchisees striving to uphold your brand culture and consistency in the online world, building a comprehensive social media strategy would go a long way in improving the performance of every outlet, as well as your entire brand. Here are the six benefits of SM management you should know about. In the franchise world, building a recognizable brand across numerous outlets is the key to long-term growth and success. However, your franchise must overcome a unique challenge that other business models don’t struggle with – social media brand consistency. Building awareness for a single location in the online and offline world is a pretty straightforward process, but things tend to get complicated when you have outlets across the country, each in need of its own identity under the main franchise brand. By using social media to promote and brand every location independently, all the while using your brand’s identity as the leitmotif in the story, you can easily ensure consistency across numerous channels without losing focus. This will allow local demographics to recognize your brand as a whole, but more importantly, connect with the local outlet on a more personal level. Social media marketing is one of the best ways to build and improve all of your other marketing methods. For example, you can include social media buttons in your emails and inspire readers to connect with you on social media through engaging content and clearly-visible icons in the header and footer of the email. 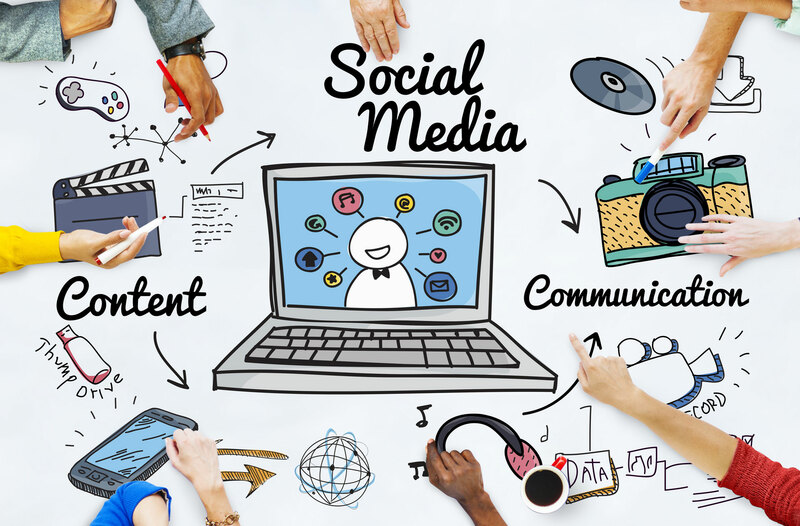 Next, you can use social media to drive traffic towards your on-site content, or publish your website content on every platform to boost your content marketing strategy. Don’t forget that social media will help your franchisees improve local word-of-mouth and drive people to their stores through the power of positive reviews. All of this will work synergistically to elevate your entire digital marketing campaign. It’s one thing to build a unique franchise brand, and a completely different challenge to build trust and loyalty between the franchise and your target demographic. There are numerous key factors that will play a vital role in achieving this goal, ranging from customer service and the quality of your product, to the way you manage your social media accounts. If you want to be considered as one of the best franchises to open in the modern socio-economic climate, then one of your priorities should be to offer adequate marketing support to your franchisees. After all, your franchisees are counting on you to provide them with the essential tools needed to promote your brand efficiently and effectively. This is where social media comes into play. Every outlet will operate within your brand parameters, but it will also need to build their success in the local market independently. This means that every franchisee will need to build customer loyalty in the local marketplace. Location-based social media management can help them differentiate their outlet from the main brand and connect with their community in a more personal way. In turn, this will improve customer retention. Influencer marketing has become extremely popular in the last few years, and companies are eagerly reaching out to prominent individuals in their industries to get them to showcase their products to a global audience. As a franchise, though, you have the opportunity here to take the concept of influencer marketing to a whole new level. Reaching out to location-specific micro-influencers, for example, will allow your franchisees to target their local audience and raise the awareness of the outlet in the market. You can also reach out to global influencers to raise brand awareness as a whole, much like any other company. Social media allows you to track the progress of your content marketing strategy, and almost every other marketing approach you take. In real time, by the way. This has unique advantages for franchises, as it allows individual franchisees to track KPIs relevant to their location and improve on their success on the spot. By incentivizing your franchisees to engage in conversation with their local audience through promotions, diverse content, and live events, you will help them better understand the market and fine-tune their entire digital marketing strategy. In turn, this will benefit the franchise as a whole. Building a successful franchise is a delicate task that requires strong leadership, continuous communication, and a forward-looking approach to marketing. With a comprehensive social media management strategy at your side, you will have an easier time building up your franchise on all fronts.